The new Enforcement Weighting System is designed to encourage OSHA enforcement staff to pursue the more time- and resource-intensive inspections. The Enforcement Unit assignment puts a premium on process safety management inspections (the standard intended to prevent catastrophic explosions at refineries and chemical plants) by assigning 7 Enforcement Units to those inspections. There are also a host of health hazards that have to be enforced under OSHA’s catch-all General Duty Clause that will get more attention because of the new weighting system; e.g., OSHA assigns 5 EUs to inspections targeting Ergonomics. As you can see, more than any specific hazard, OSHA rewards Area Offices for finding ways to drive up civil penalties. 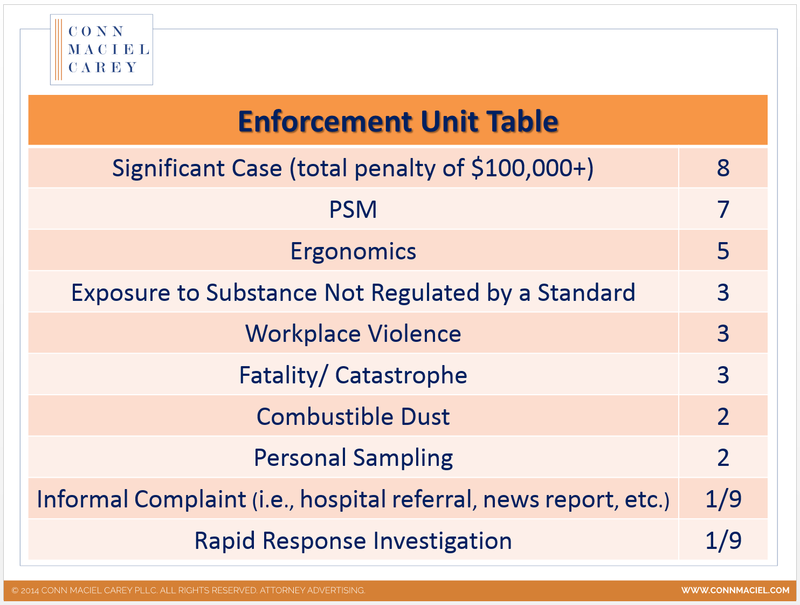 Specifically, the one “category of activity” to which OSHA assigns the most EUs is enforcement actions with a total penalty exceeding $100,000. That means that a run of the mill employee informal complaint inspection about a basic safety hazard would only be worth 1/9th of an EU, but if the CSHO and Area Director can conceive of a way to characterize a couple otherwise minor items as Willful or Repeat, that inspection that would not be worth much to that Area Office’s annual quota gets a huge boost, almost ten times more EUs by pushing the penalty up over $100,000 – a potentially costly, perverse incentive. 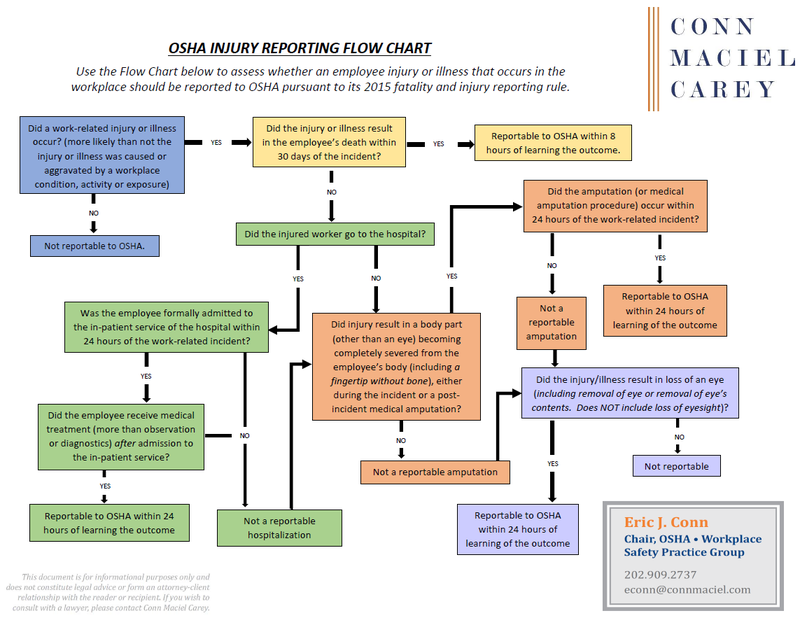 By announcing this new protocol, Dr. Michaels believes that these hazards, which have historically been addressed by OSHA inspections less frequently, will get more attention from employers. In other words, employers who may have dismissed these hazards believing an inspection by OSHA was unlikely because such an inspection was too time consuming, will now take steps to address those hazards recognizing that an inspection may be more likely. That population of employers was likely slim to none, but regardless, employers should pay particular attention to the hazards to which OSHA will now assign more enforcement resources. Useful. Thanks Eric and Amanda. Long time no see. Generally, OSHA inspections concentrate on the most hazardous sites found in the workplace. Complaints from employees and referrals from agencies, organizations or the media also receive elevated attention.